Reason #1: Watch this 3 minute video. Reason #2: The biggest hurdle to becoming rich and famous is not that people will share your music without compensating you. The risk is that you will remain obscure. By releasing at least some of your best tracks "into the wild", you hugely increase your chances of getting discovered. 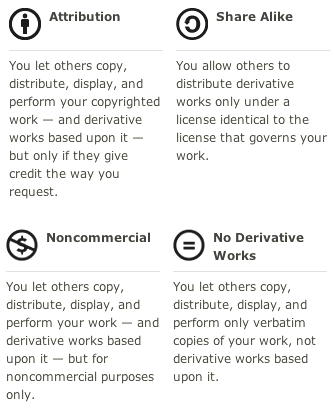 Reason #3: Releasing music under a creative commons license is not the same thing as releasing it into the public domain. You can still control how your music gets used, e.g. whether people can just share it, or remix it, or use it in a commercial movie, TV show, or video game. See what options you have in the chart below. Reason #4: It's nice to share.